Toppings: tiny bay shrimp, small grilled chicken bites, smoked salmon flecks, toasted whole almonds, etc. Bake fillo cups according to package directions until golden brown and let cool. With a small spoon, carefully fill each cup with cream cheese. At this point, they can be refrigerated for up to two hours. 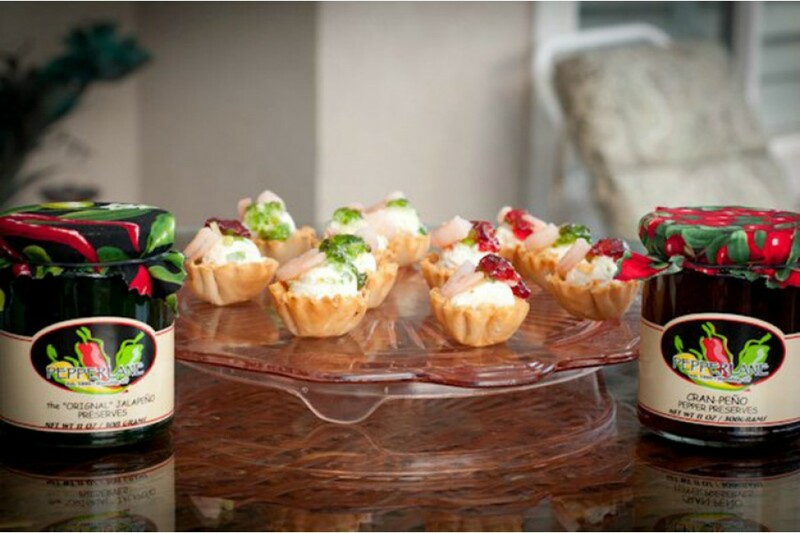 When ready to serve, drizzle the cream cheese cups with a small amount of Pepperlane Preserves, alternating the green with the red for a festive look. Top each cup with your choice of toppings and garnish with the chives or parsley. Place cups on a decorative tray and serve immediately.